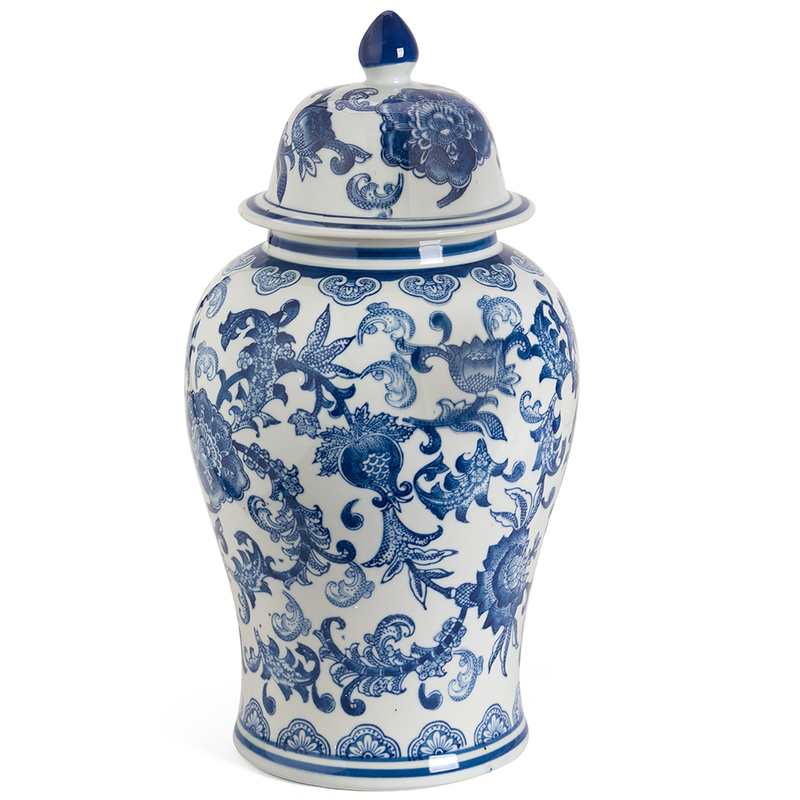 Inspired by ancient pottery designs, the Vintage Ginger Jar is sure to bring some old-world charm to your home. Made from solid ceramic with a glazed finish, this piece harkens back to the Ming Dynasty and features a beautiful floral design set in white and blue. Decorated with a floral design inspired by the Ming Dynasty. Dimensions: Approx. 46cm (h) x 23.5cm (w) (Including Lid).